The stars and writers of Black Mirror on the disturbing new season. Bryce Dallas Howard in Season 3 of Black Mirror. Bryce Dallas Howard has barely been talking for a minute when I hear the laugh: Lacie’s laugh. 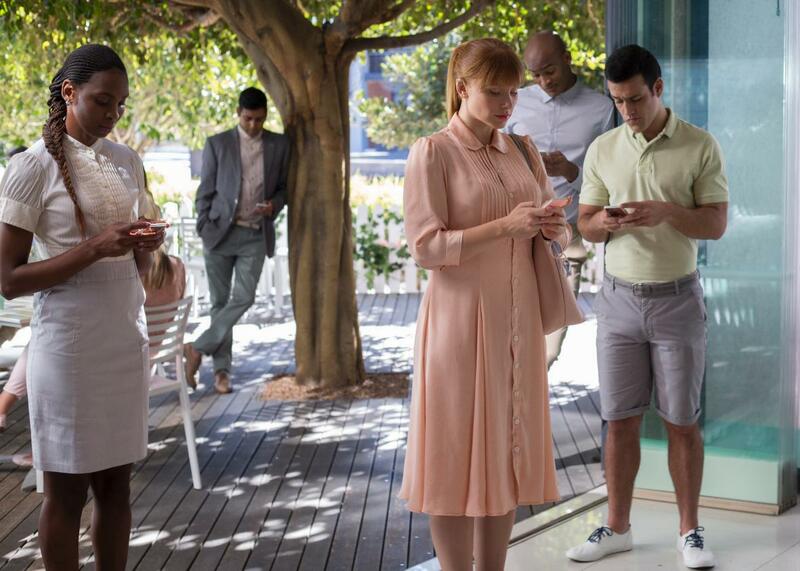 Once you’ve seen “Nosedive,” Howard’s episode from the new season of Black Mirror, you can’t forget the high-pitched flutter that Howard gives her character, a desperate social climber whose bottomless need to be liked is enhanced by the fact that she lives in a society where people are ranked like restaurants on Yelp, and that ranking determines everything in their lives: who they talk to, where they live, even what buildings they can enter. The series, which was created by the British writer and comedian Charlie Brooker in 2011, is often described as a tech-focused Twilight Zone, and it does occasionally go full sci-fi. But its best episodes feel like logical extrapolations of the present, the way “Nosedive” takes the way social media intensifies our inherent desire to be liked and makes it algorithmic. Instead of crafting ingratiating status updates and tweaking Instagram photos, the people in Lacie’s world rate every interaction, even ones as casual as passing someone on the street, on a scale from one to five stars, and their aggregate score is the sole marker of their worth. “High fours” are the social elite, while sinking below the mid twos can get you fired, ostracized, or worse. Rashida Jones (no relation) and Mike Schur ping off each other with even greater fluidity. The two have been friends since they were at Harvard, and they worked together on The Office and Parks and Recreation, but “Nosedive” is the first thing they’ve written as a unit since a college assignment that somehow fused The Jerry Springer Show and the Warren Court. They take turns telling the story of how Jones got Brooker’s attention by fannishly “stalking” him for two years, so that when the show needed writers more solidly versed in comedy to tackle the episode, they knew just who to call.